One of my favourite fragrances of all time has to be original Allure Homme by Chanel. Bought for me what I was 16, it was one of the most sophisticated fragrances I’d every owned. Now 6 years later, Chanel have released an updated and quite exciting version of the fragrance called Allure Homme Sport. 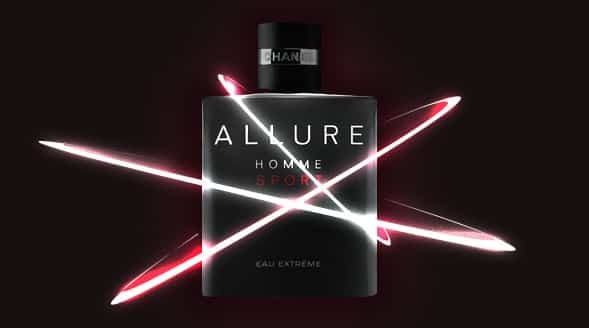 On the release day I ran to Kendals in Manchester with debit card in hand asking everyone I came into contact with for Chanel Allure Homme Sport Eau Extreme, wanting to bag myself one of these bad boys. The bottle is in opaque silver with solid black Chanel lid with their timeless logo wrapped around in engraved silver metal. So the fragrance, once sprayed you are welcomed by a fresh mint and and I can’t really improve on that wording but what they describe as a pulse of Moroccan Cypress. The Sicilian Mandarin I was told was a new addition to the fragrance and gives a gentle sweet undertone to the top notes. As the fragrance wears, and you take in the smell of your skin, you pick up the notes of Madagascan Black Pepper, white musk and then the rich warmth of Tonka Bean, which is one of my favourite scents and ingredients (Thornton’s do a chocolate containing it, you’ve gotta try it). Well Jacques Helleu, you’ve struck gold again and should be highly commended. This article first appeared on MANFACE written by Thom Watson. It was published on Thursday 5th April 2012 and was last updated on Monday 3rd April 2017 at 4:24pm. It's categorised under Chanel, Fragrance, Oriental Fragrance where you'll find more related content.